Reena Joy's First Big Screen Experience - Triple Joys!!! 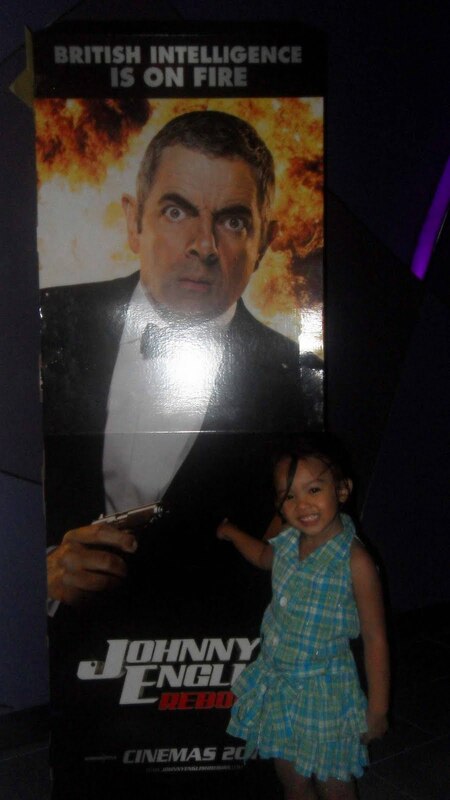 Reena Joy posing before the signage of Johnny English, Reborn! Yesterday, October 1, 2o11, Saturday, was my younger daughter, Reena Joy, first movie experience. Actually, we are hoping to see a movie more fitting to her age like cartoons for her experience to be more memorable, but unfortunately, nothing of these kinds were offered yesterday at the SM Mall of Asia Cinemas. Not quite a good timing. Right after we entered Cinema 3 and found our seats, Yna said to me "Mama, bakit ang laki ng TV nila? Kasi malaki ang bahay nila?" Well, I guess my ever intelligent daughter already answered her query so I just smiled at her. Oh, and my husband, he enjoyed the movie too. I even kidded him to try the training that Mr. English have done training with the monks. 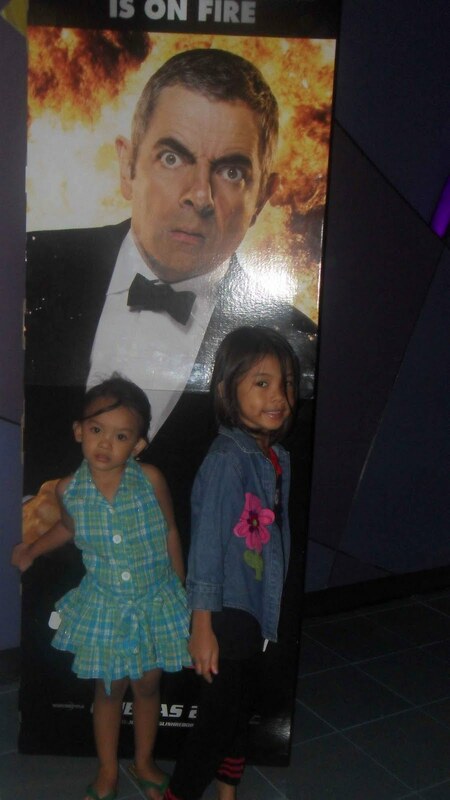 My two daughters, Reena Joy and Renee Joy posing before the signage of Johnny English, Reborn!